Patient Leg Broken Fracture Rehabilitation stock images by Aurielaki. 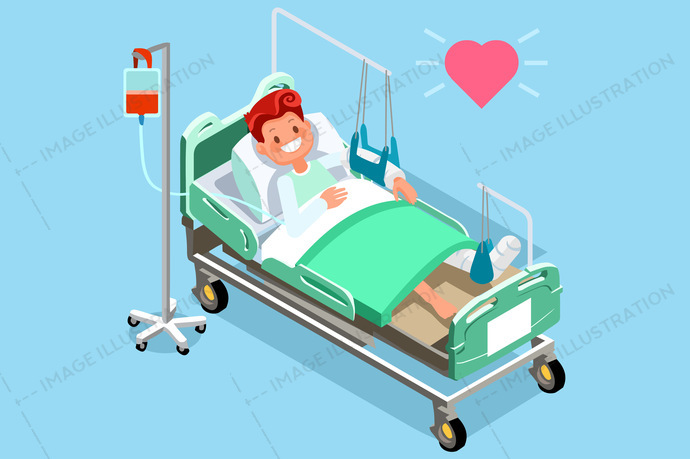 Vector Medical illustrations in EPS10 SVG EPS JPG AI. SKU: Patient-Leg-Broken-Fracture-Rehabilitation-Medical-Vector-AurielAki. Categories: Bed Cartoon, Isometric Character. Tags: 3d, accident, adult, aid, ankle, bandage, bed, bedroom, bone, broken, care, cartoon, cramp, disabled, emergency, flat design, foot, Fracture, gypsum, health, healthcare, Hospital, hurt, illness, injured, injury, insurance, isometric people, joint, knee, leg, limp, male, man, medical, medicine, orthopedic, pain, painful, patient, person, physical, plaster, recovery, rehabilitation, room, sprain, surgery, trauma, treatment.